Discover the aquatic fauna through fishing ! At any age, this activity will allow us to learn to know fish life and environment. Fishing is a perfect activity to gather all the family, adults and children, and to develop patience and cooperation ! Fishing is controlled; you must own a fishing card whose duration varied (daily, weekly or yearly). You can buy your fishing card at the ULPL (association of fishermen from Lyon). The youngest will opt for a life jacket (rowboat fishing); opt for light fishing rods and baits (earthworms, maggots…). Enjoy a quiet moment on the lake of the Eaux Bleues to discuss and take the time waiting that rise to the bait. 2nd category rules reciprocal lake agreement. Interfederal card or CHI stamp (Regional Halieutic Club) is obligatory for fishermen outside of the 69 department or without reciprocal agreement. 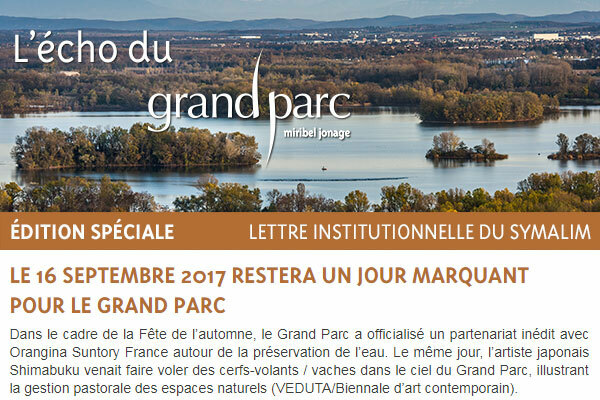 Nature area of the Grands Vernes, Vieux Rhône Arm and the North of the lake of the Drapeau. The maximum number of carnivorous fished everyday (zander, black bass, and pike) and per fisherman is set at 3 of which 1 is a pike. Pike and zander: On Monday, 1st of May of 2017. IT IS FORBIDDEN TO PUSH BACK INTO WATER CATFISH AND PUMPKINSEED. 2 fishing rods for the lakes of la Bletta, of the Simondières, of Emprunt, of Allivoz and of the Pêcheurs. 4 fishing rods for the lakes of the Drapeau, of the Forestière, of the Île Paul and of the Eaux Bleues. DRAW ALONGSIDE ISLANDS AND FISHING IS FORBIDDEN.